The software requirements for the LTO Flash! User Interface (LUI) software in Windows differ slightly depending on the version of Windows you are using. All versions of LUI require the .NET runtime to execute. The required version for your operating system is listed in the following table. When you run the LUI setup program, if a suitable version of the .NET runtime has not already been installed on your computer, it will be installed for you. Note that this installation may take awhile, depending on your internet connection speed and, of course, your computer. The first time you connect your LTO Flash! to your computer, Windows may run the Found New Hardware Wizard to install drivers. Let it proceed. To be able to communicate with your LTO Flash!, the Virtual COM Port (VCP) driver software from FTDI is necessary. 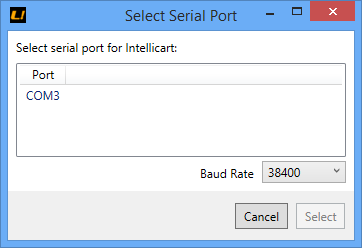 You may choose to install the drivers directly from FTDI if you so choose. On some computers, it has been observed that the driver wizard may take much longer to complete than directly installing them yourself. If the necessary .NET Runtime is not already present on your system, the setup program will install it for you. 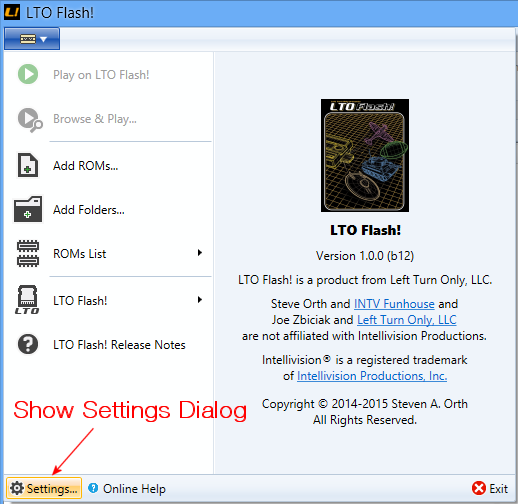 It should not be necessary for you to manually install any driver software for LTO Flash! on your system. During testing, it was noted that on some machines, especially older systems running Windows xp, driver installation could take a long time. If you can't wait for the Found New Hardware Wizard to do the work for you, you can download and install the latest FTDI VCP drivers directly from their website. In addition to the two largest work areas (the ROM list and the Menu Layout), you will use the features located along the top of the main window. This part of the user interface is called the "Ribbon". Modern versions of Microsoft Office and many other Windows applications use this style of user interface to give users quick access to many powerful features. 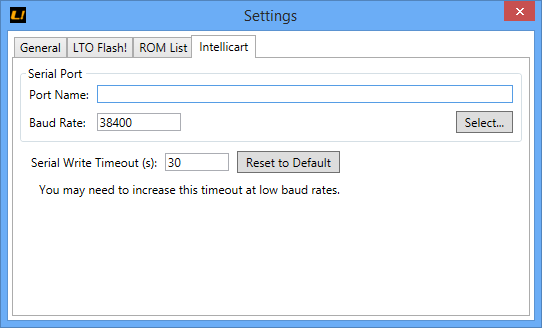 Simply drag and drop ROMs from your ROM list into the Menu Layout Editor to create a Menu Layout for your LTO Flash!. In the Menu Layout Editor, you can set a "long" name (up to 60 characters) and "short" name (up to 18 characters) for each ROM. You can also assign a color for each menu item's icon. To save some time, you can select multiple items in the ROM List by using the same keys you would to select multiple files in the file system. Using Shift will select all the items between the currently selected item and the next one you click. Using the Control key will select items individually. To arrange your menu items, simply drag and drop them to put them in the desired order or into different directories. To delete an item from your menu, click it and use the Delete key on your keyboard, or, click the Delete button in the Menu Layout Editor, or, click the button in the Ribbon, or right click on the item and choose Remove from Menu.